Stable, reliable operation is a critical element for both servers and workstations alike. 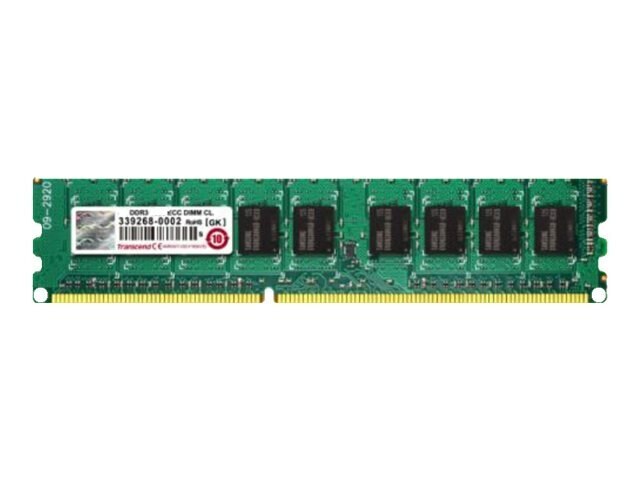 Transcend's DDR3 ECC DIMM features Error Correcting Code that monitors the data that gets transferred in and out of memory and corrects any errors found. This greatly decreases the risk of computational errors during complex tasks, while at the same time increases overall system reliability. These modules also feature an on-board thermal sensor, which allows the system to monitor temperatures and redistribute memory load - a process that can greatly enhance memory reliability, efficiency, and overall system stability.